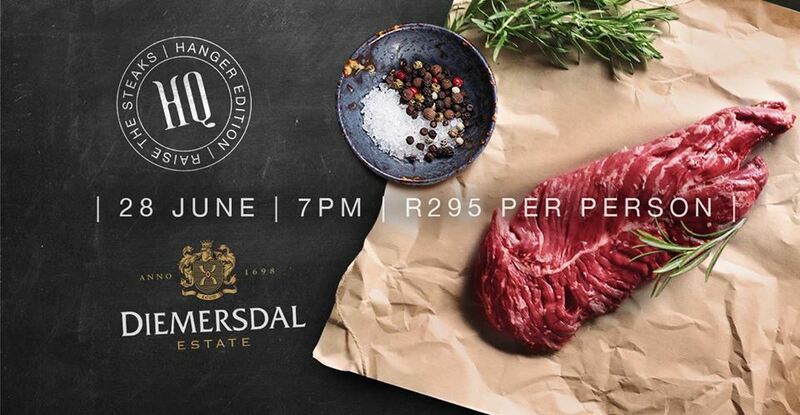 On 28 June at 7pm, we will be hosting their 4th Raise the Steaks Dinner, focussing our attention on the Hanger Steak – a cut of meat that is prized for its flavour. Considering HQ’s famously simple menu consists only of their iconic salad, followed by quality steak and chips, this dinner is not one to be missed. 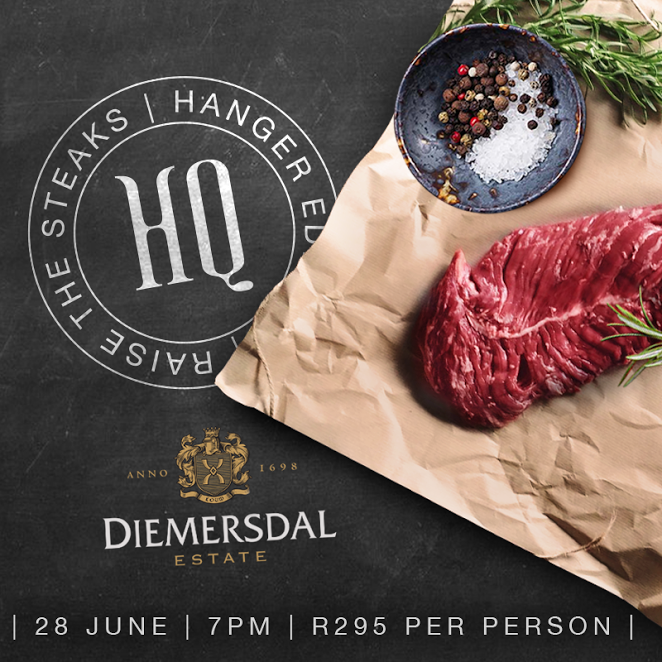 Raise the Steaks is a food-and-wine-pairing experience like no other, where we invite a top local wine farm to pair their specialty wines with our 3-course menu – this month it’s Diemersdal. A winning combination for only R295 per person. These dinners are designed to shine a spotlight on different cuts of steak, so expect only the finest quality.